Damage modelling along with crack behavior carbon fiber resin reinforced composites under tensile and three-point bending loading were simulated in this study for different variables and cases. Extensive experimentation was performed for carbon fiber composites by grouping them into different categories of layup, orientations and boundary conditions accordingly. The specimen dimensions and the loading conditions were evaluated in the mentioned categories for the transversal damage as a primary objective of the study. The composite models for single layer and multilayer were modelled in extended finite element method (XFEM) module in ABAQUS software, and interaction subroutines were included for the mentioned models and experimental behavior and response were studied. The damage progress was investigated and then the criteria of stress-strain as well as stress distributions/intensity factor in the fiber and matrix were the outputs. 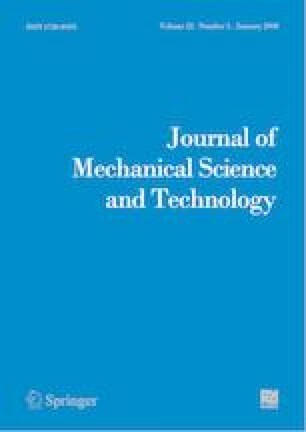 The purpose of the study was to validate the numerical and simulation outputs with experimental results for XFEM as a framework for the crack initiation, propagation along an arbitrary, mesh-independent, solution-dependent path, which is being widely used. The key parameters and critical aspects of convergence of the results, while carrying out damage and fracture analysis when using numerical simulation in comparison with the experimentation setup, required precise and accurate understanding towards modelling the above-mentioned cases. The study offers novel methodology and pre-development of framework for crack modelling from single to multi-crack for carbon fibers. The study started with the results from previous studies of both transversal cracks and delamination followed by the study of fracture in the material. Different specimens were studied and tested, and the results were in close convergence between experimental and numerical data for multiple cases. R. F. Swati is a research scholar at Northwestern Polytechnical University, Xi’an, China. He is a faculty member of the Institute of Space Technology. His research field is extended FEM modelling using multiscale method in aerospace structural dynamics research lab, school of astronautics. His research interest includes landing gear design, impact analysis, wind turbine systems, FEM, BEM and modelling of composites and their analysis for aerospace applications. W. L. Hua is a Professor at Northwestern Polytechnical University, Xi’an at School of Astronautics. His domain of research is diversified and vast in aerovehicle design and smart materials, structural dynamics, multiscale modeling and eXtended FEM modules.